*Ace*Luffy*shanks*. to all my one piece fans. 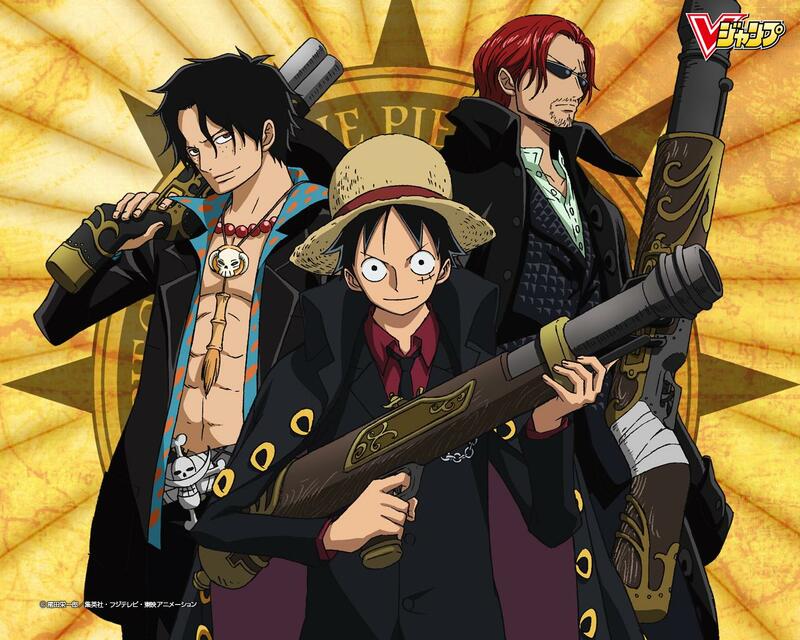 HD Wallpaper and background images in the One Piece club tagged: one piece anime pirates straw hats shanks luffy ace. This One Piece wallpaper might contain green beret, special forces, elite soldier, and rifleman. XD I keep seeing the black outfits for Ace and Shanks, and I know what movie Luffy's outfit is from...but is Ace's and Shank's pure fan service?? Or are they actually featured somewhere?